Yesterday Katie and I went out for brunch to celebrate her birthday a day late. [Happy birthday Katie!] 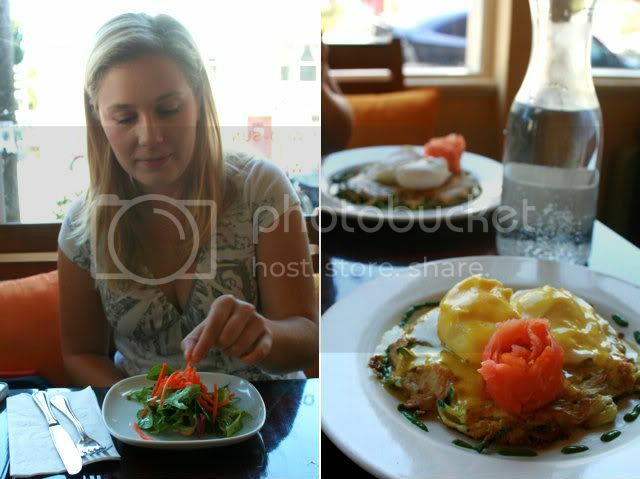 We ate at Tangerine on 16th Street and both ordered their zucchini latkes with poached eggs, smoked salmon, and hollandaise. It was delicious, fast, and really reasonable. She had to work after, but I spent the afternoon walking around the Mission taking photos. It was a perfect day. More to share soon!